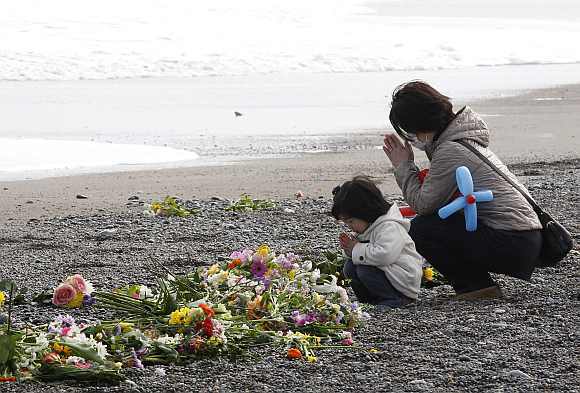 It is hard to believe that it has already been 3 years since the earthquake in Japan. 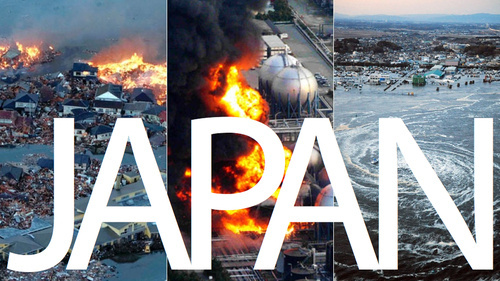 Please keep Japan and all those who were affected by it in your prayers. Click any of the title links and it will take you to the main page where I found this article. Better understanding by watching this video. 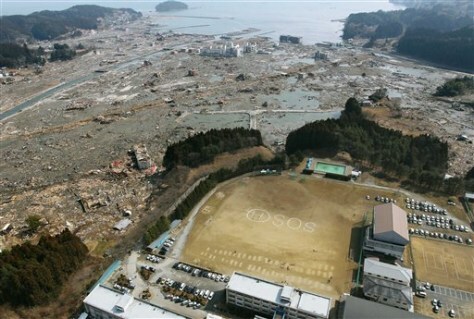 Even an aerial view of the tsunami making it's way to Japan. When all of this happened I was at work eating lunch with a few colleagues, when all of a sudden, we heard all this commotion outside of the lunch room, saying 'bad news bad news', while others seem to be running down the hall. Everyone in the lunch room, quickly made their way to the several TV's in the meetings rooms, or the reception. As we got closer we heard an unusual chime on the news, followed by a warning of a large earthquake hitting northeastern Japan. I'm not sure if it was seconds, minutes later, but I asked my colleague, if we were in danger, he just said not to worry this happens all the time, jokingly. (This was actually the first time to experience an earthquake.) Just as I was going to tell him 'oh I see', our building in the business district in central Tokyo started swaying. For a few seconds, we stood there, looking at each other, noticing office building across from us moving from left to right, everyone was quiet, then in a few seconds, the swaying became so violent we had to hold on to something. I was standing at the back corner of the room next to a window, I immediately bent down; that's when my colleague started pulling me away from the window and telling me to get near the wall. The scariest part was being on the 34th floor and seeing a large construction crane swaying from side to side on a taller building next door. Some of the colleagues rushed to open the doors to secure exit routes. Others were in tears. We kept feeling aftershocks. As we looked down, we saw people streaming out of office buildings, and gathering in a plaza with wide open space. Shaking continued for a long time, at least it felt that way, I prayed so hard! Attempts to call family members on the cellphone and landlines failed. My Windows Phone and I Phone turned out be useless. I wasn’t receiving any emails, and I wasn’t able to send anything. When everything seemed to stop, everyone started to rush out of the building; I went back to my office got my keys and my backpack, checked one final time the internet at my computer, it finally went thru, but was not able to contact anyone who I knew in Japan, or my family overseas, so I just posted on Facebook and any other profile that I was OK, and that I was on my way home, and notified them to not worry if it takes me a while to get home. Afterwards I made my way outside of the building. It was so crowded! After seeing the news and talking to people I turned to the parking garage, where my mini cooper was parked with my bike (usually used to run errands), but traffic was bad usually, but that day, even more so since everyone was driving really slow, plus no trains, I ended up getting my bike and riding all the way home. Here's a look at what you need to know about the earthquake and tsunami that struck Japan in March of 2011. March 11, 2011 - At 2:46pm, a 9.0 magnitude earthquake takes place 231 miles northeast of Tokyo, Japan, at a depth of 15.2 miles. Duration: Approximately 6 minutes. - At least six million homes - 10 percent of Japan's households - are without electricity, and a million are without water. - The US Geological Survey says the quake appears to have moved Honshu, Japan's main island, by 8 feet and has shifted the earth on its axis. 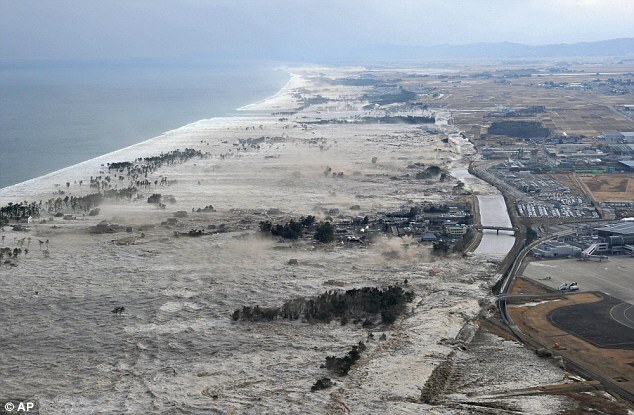 March 13, 2011 - People living within 10km (6.2 miles) of the Fukushima Daini and 20km of the Fukushima Daiichi power plants begin a government-ordered evacuation. The total evacuated so far is about 185,000. March 14, 2011 - The U.S. Geological Survey upgrades its measure of the earthquake to magnitude 9.0 from 8.9. 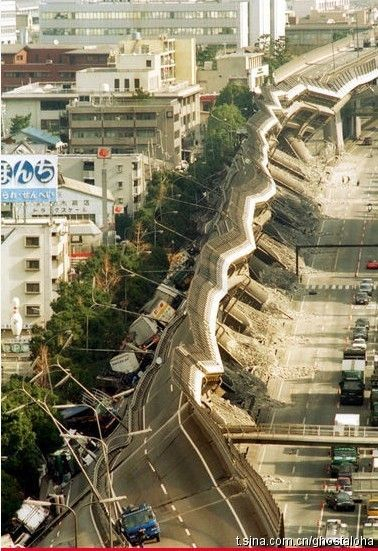 The new reading means the quake is the fourth strongest earthquake since 1900. March 15, 2011 - The third explosion at the Daiichi plant in four days damages the suppression pool of reactor No. 2, similar to an explosion occurring at No. 1 over the weekend. Water continues to be injected into "pressure vessels" in order to cool down radioactive material. - After hydrogen explosions occur in three of the plant's reactors (1,2, and 3), Chief Cabinet Secretary Yukio Edano says radiation levels "do not pose a direct threat to the human body" between 12 to 18 miles (20 to 30 kilometers) from the plant. March 17, 2011 - Gregory Jaczko, head of the Nuclear Regulatory Commission, tells U.S. Congress spent fuel rods in the No. 4 reactor have been exposed because there "is no water in the spent fuel pool," resulting in the emission of "extremely high" levels of radiation. - Helicopters operated by Japan's Self-Defense Forces begin dumping tons of seawater from the Pacific Ocean on to the No.3 reactor to reduce overheating. April 12, 2011 - Japan's nuclear agency raises the Fukushima Daiichi crisis from Level 5 to a Level 7 event, the highest level, signifying a "major accident". It is now on par with the 1986 Chernobyl disaster in the former Soviet Union, which amounts to a "major release of radioactive material with widespread health and environmental effects requiring implementation of planned and extended countermeasures." June 6, 2011 - Japan's Nuclear Emergency Response Headquarters reports that reactors 1, 2 and 3 at the Fukushima Daiichi nuclear power plant experienced a full meltdown. June 30, 2011 - The Japanese government recommends more evacuations of households 50 to 60 km northwest of the Fukushima Daiichi power plant. The government said higher radiation is monitored sporadically in this area. July 16, 2011 - Kansai Electric announces that a reactor at the Ohi nuclear plant will be shut down due to problems with an emergency cooling system. This leaves only 18 of Japan's 54 nuclear plants producing electricity. November 2, 2011 - Kyushu Electric Power Co. announces that it restarted No. 4 reactor, the first to come back online since the March 11 disaster, at the Genkai nuclear power plant in western Japan. December 5, 2011 - Tokyo Electric Power Company announces that at least 45 metric tons of radioactive water have leaked from the Fukushima Daiichi nuclear facility, and may have reached the Pacific Ocean. December 16, 2011 - Japan's Prime Minister says that a "cold shutdown" has been achieved at the Fukushima Daiichi nuclear power plant, a symbolic milestone that means the plant's crippled reactors have stayed at temperatures below the boiling point for some time. December 26, 2011 - Investigators report that poorly trained operators at the Fukushima Daiichi nuclear power plant misread a key backup system and waited too long to start pumping water into the units, according to an interim report from the government committee probing the nuclear accident. 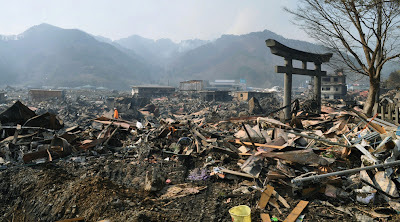 February 27, 2012 - Rebuild Japan Initiative Foundation, an independent fact-finding committee, releases a report claiming that the Japanese government feared the nuclear disaster could lead to an evacuation of Tokyo while at the same time hiding its most alarming assessments of the nuclear disaster from the public as well as the United States. June 11, 2012 - 1,324 Fukushima residents lodge a criminal complaint with the Fukushima prosecutor's office, naming Tsunehisa Katsumata, the chairman of Tokyo Electric Power Co. (TEPCO) and 32 others responsible for causing the nuclear disaster that followed the March 11 earthquake and tsunami and exposing the people of Fukushima to radiation. July 23, 2012 - A Japanese government report is released criticizing TEPCO. The report says that the measures taken by TEPCO to prepare for disasters were "insufficient," and the response to the crisis "inadequate." October 12, 2012 - TEPCO acknowledges in a report that it played down safety risks at the Fukushima Daiichi power plant out of fear that additional measures would lead to a plant shutdown and further fuel public anxiety and anti-nuclear movements. July 2013 - TEPCO admits that radioactive groundwater is leaking into the Pacific Ocean from the Fukushima Daiichi site, bypassing an underground barrier built to seal in the water. August 28, 2013 - Japan's nuclear watchdog Nuclear Regulation Authority (NRA) says a toxic water leak at the tsunami-damaged Fukushima Daiichi power plant has been classified as a level 3 "serious incident" on an eight-point International Nuclear Event Scale (lINES) scale. November 18, 2013 - Tokyo Electric Power Co. (TEPCO) says that operators of the Fukushima nuclear plant have started removing 1,500 fuel rods from damaged reactor No. 4. It is considered a milestone in the estimated $50 billion cleanup operation. The debris is most likely not radioactive. It is no longer in a "debris field," but scattered across a large area of the North Pacific.